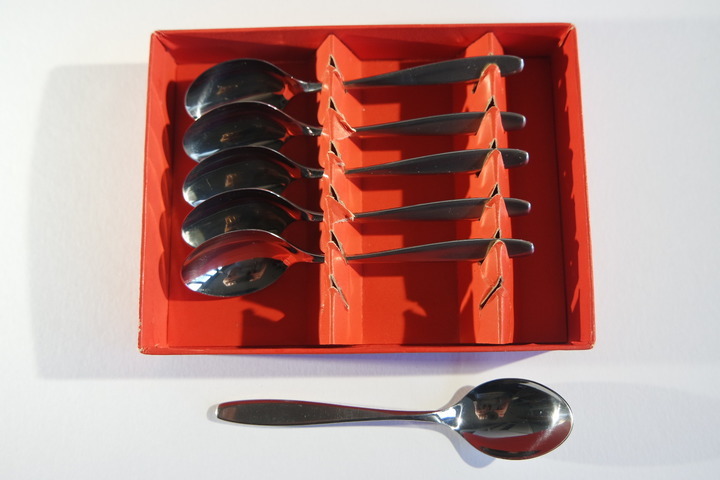 Six demitasse spoons by German company WMF (Württembergische Metallwarenfabrik) Cromargan in original box dating from after 1965. 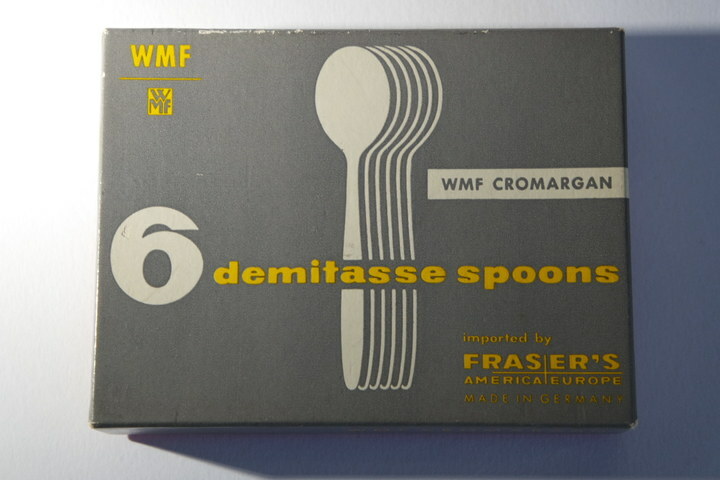 WMF stainless steel flatware was imported into the US by Fraser's. 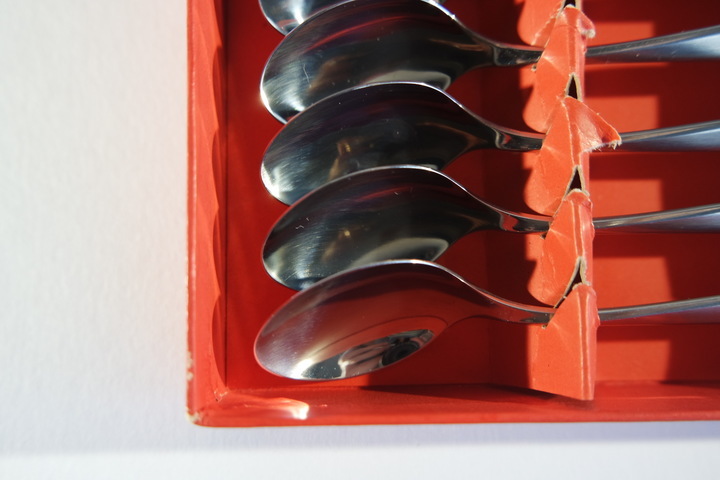 These demitasse spoons are in immaculate condition with matt handles and gloss bowls.